The Blog has chronicled the progress of multiple proposed marijuana laws in the 2013 Maryland legislative session. With less than a week left for lawmakers to debate and ultimately cast their votes, the status of all but one of these proposed laws is up in the air. The bill establishing a state run medical marijuana program implemented with the cooperation of academic hospitals has passed in the House, but not in the Senate. This bill has already garnered support from Governor O’Malley. The State Senate has passed a different bill, which would decriminalize possession of less than 10 grams of marijuana, but the House has not approved this bill. Finally, neither the House nor Senate has approved another bill that would decriminalize, tax, and regulate all reasonable quantities of the drug. This bill received a hearing in the House but has not yet been put to a vote. The one proposed law that has passed both the House and the Senate is a medical marijuana bill that has been long overdue. In 2011 Maryland passed a law that allows patients to use marijuana and avoid criminal prosecution, provided these patients prove a legitimate medical necessity to a Judge. The shortcomings of this law have been well documented on the Blog. A patient can only use the affirmative defense after the case has been brought to court, meaning the legitimate medical use of marijuana can still get you arrested. Another major shortcoming is that there is no protection provided to caregivers, such as parents or other family members of children that use medical marijuana. This is one step away from changing, as the General Assembly has passed a bill that would provide the same legal protection to caregivers as it provides to patients themselves. Caregivers would now be able to use the affirmative defense to avoid criminal prosecution for possession of up to one ounce of marijuana. The caregivers must be Maryland residents who are over the age of 21 and must be an immediate family member of the patient. It is also a requirement that the caregiver be designated as such in writing before the time that he or she is arrested. It is not yet clear how this writing would officially be recorded. The caregiver must have no criminal convictions, and can only be a designated caregiver for one patient. This caregiver protection bill is one step away from being placed into law. All that is missing is a signature from the Governor, who has yet to publically announce his opinion about the proposed law. It is reasonable to assume that O’Malley will sign on the dotted line, especially after he has come out in public support of a state run medical marijuana program. On the other hand, the Governor may be waiting to sign a more comprehensive medical use bill into law, and this caregiver bill could hardly be considered comprehensive. All this bill really does is move our state one baby step closer to completely legalized medical marijuana, which though inevitable, still looks like is a few years away. 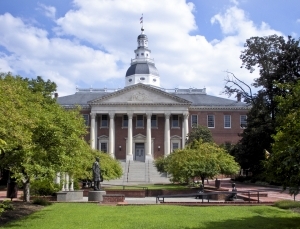 There is still a chance for some fireworks in the last few days of the legislative session, and the Blog will be there to comment as the news comes down from Annapolis. Benjamin Herbst is a marijuana and drug possession lawyer who handles cases throughout the state. 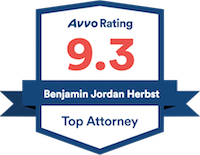 Contact Benjamin at The Herbst Firm for a free consultation.